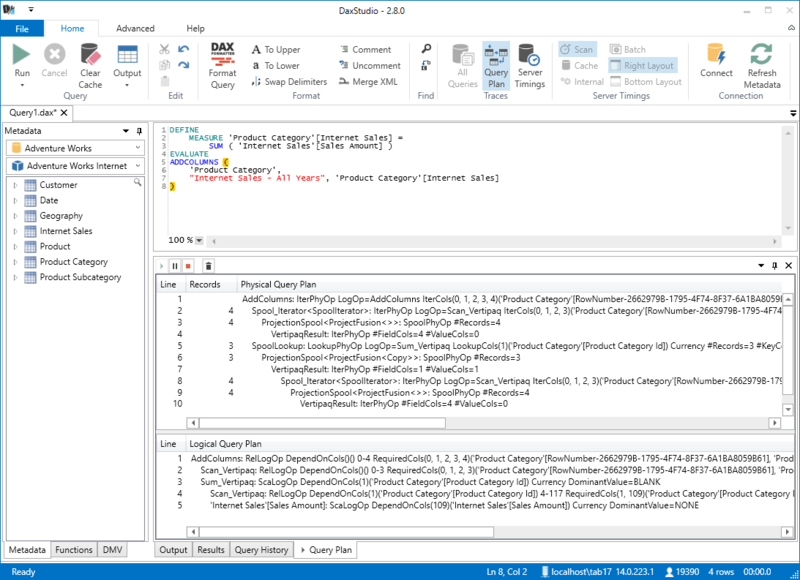 Dax Studio supports capturing the query plan trace events from a SSAS Tabular server and displaying them. The Query Plan text is currently displayed in it’s raw form. In future some pre-processing may be done to improve the readability. Currently it is not possible to get query plans from a Power Pivot connection.